Drivetime, 11 Nov Swaziland’s economic standing – A delegation from Swaziland visited South Africa to discuss issues with parliament and Southern African Liaison Office. Swaziland is economically well off compared to other countries in the African continent equaling Namibia and Morocco in terms of GDP per capita. However, distribution of wealth is very unequal as the significant amount of the budget is used to sustain the Royal family. Citizens in the country want a democratic, free and fair country and this is their hope for change. A delegation from Swaziland visited South Africa to discuss issues with parliament and Southern African Liaison Office.Intern reporter Nishta Sookdiyal speaks to Mary da Silva, Lawyer for Human Rights in Swaziland and Vincent Ncogwane from Trade Union Congress of Swaziland. In July 2014, the following Civil Society Organizations and Networks: South Africa Network on Inequality (SANI) at Economic Justice Network (EJN) of FOCCISA, South African Forum for International Solidarity (SAFIS), Human Rights Institute of South Africa (HURISA), The Southern African Liaison Office (SALO), Consortium for Refugees and Migrants in South Africa (CoRMSA) and ActionAid SA (AASA) with support from Oxfam in South Africa, submitted a concept note to the South African Sherpa for establishing a BRICS – Civil Society Forum. The concept note was developed in response to the need for a formal space for civil society to participate in the BRICS Summits and influence its agenda. To address this need, the concept note proposes the establishment of a BRICS-Civil Society Forum that convenes every year in anticipation of the BRICS Summit that can serve as a platform for civil society from across BRICS countries to convene and discuss policies and issues, organize itself, conduct research, submit policy recommendations to BRICS sherpas, and engage with BRICS institutions. The establishment of Brazil, India, Russia, China and South Africa (BRICS) has brought about changes in the international balance of power. As indicated in the statement of BRICS leaders in 2009, this initiative would also seek solutions on national problems and support national objectives of the member countries. A key development in one of the Summits, were discussions and agreements by member states on sectoral co-operation between BRICS countries namely: science, technology, development, finance and energy. It was agreed that these areas of cooperation would serve as a catalyst for the economic development of most emerging economies in BRICS thereby addressing unemployment, poverty and inequality. Since the emergence of BRICS, civil society in these countries has been preparing themselves to be able to contribute and influence discussions and decisions within this forum. 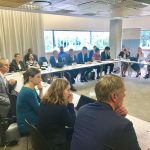 This resulted in a number of civil society consultations held in India, China, Brazil, South Africa and Russia. Civil society has shown commitment in seeking to engage with BRICS in order to contribute towards the BRICS agenda and possibly reaching consensus on what the BRICS-CSO engagement should look like. To establish an institutional platform aimed at strengthening the role of Civil Society (CS) in the work of BRICS. This would see civil society’s contribution in the public policy making agenda and the development of related programs. The BRICS-Civil Society Forum will generate and disseminate knowledge, strengthen and build capacity of citizenry on BRICS, make policy submissions, coordinate amongst itself and liaise with the BRICS Think Tank, Business Council as well BRICS Sherpas on issues of common interest. Through joint consensus seeking process, BRICS-Civil Society will engage and and contribute in promoting the progressive realization of better development outcomes. To identify and share expertise on various thematic issues to influence BRICS discussions pertaining to among others: public policy, poverty eradication, employment creation, eradication of inequality, climate change, education, health, infrastructure, economic development, and domestic resource mobilisation. Civil Society as a key stakeholder working in communities has a wealth of experience on social justice issues, most specifically in conducting research, capacity building initiatives, participating in national public dialogues and developmental processes, and knowledge sharing and exchange. To strengthen partnerships and engagements with citizens, BRICS-Civil Society recognises the added advantage it brings, especially as a convenor, development catalyst and policy advisor. Civil Society has successfully built relationships with Governments, organising side meetings alongside the BRICS Summits. From left: Mary Da Silva, Wandile Dludlu and Lomcebo Dlamini of the Swaziland Civil Society spoke to South African media on the Swaziland judiciary at a recent media briefing held in Johannesburg. 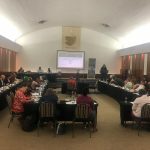 The Swaziland Civil Society recently held a media briefing in Johannesburg on 11 April to voice their concerns about the Swazi judiciary. 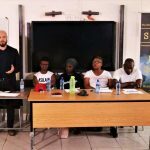 The media briefing was prompted by the ongoing saga pertaining to the arrests in March of human rights lawyer, Thulani Maseko, and the editor of monthly publication, The Nation magazine, Bheki Makhubu, for articles published in the February and March editions of the magazine. The panel was made up of Lomcebo Dlamini from the Swaziland Coalition of Concerned Civic Organisations, Mary da Silva from the Lawyers for Human Rights Swaziland (LHRS) and Wandile Dludlu from the Swaziland United Democratic Front who collectively were representing the Swaziland Civil Society. 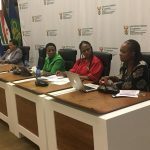 Ms Dlamini said that the three organisations had been asked to coordinate the advocacy and legal interventions that were becoming necessary in view of how the judicial saga was unfolding. She added that although this was playing itself out in the arena of the judiciary and the courts, civil society was looking at it as a larger problem of governance. On giving the build up to the issue at hand, Ms Da Silva said that on 17 and 18 March 2014 respectively, Mr Maseko and Mr Makhubu were arrested following a warrant issued by Swaziland’s Chief Justice Michael Ramodibedi, on charges of scandalising the judiciary and contempt of court. The two were arrested after the magazine published a report questioning the detention of a government vehicle inspector, Bhantshana Gwebu, who was detained for nine days without being charged. The articles criticised the arrest as an abuse of authority and a lack of impartiality of the Swazi judicial system. The article written by Mr Makhubu appeared in the February issue of The Nation, which did not receive much attention, and the one by Mr Maseko – which dealt with the same issue but provided a breakdown of the legal issues involved – was published in March. The articles published relate to contempt charges, also initiated by Chief Justice Ramodibedi, against a government vehicle inspector who issued a ticket to a judge’s driver. The driver was transporting Judge Esther Ota, without the required authorisation for the use of a government car. The articles in The Nation attacked the inspector’s arrest as an abuse of authority. In his column, Mr Makhubu compared the Chief Justice to Caiphus, the High Priest of Judea implicated in the condemnation of Jesus, saying that he had ‘massaged’ the law to suit his own agenda. Ms Da Silva said that authorities claimed the articles interfered with the court proceedings and charged them with contempt of court. She added that the media in Swaziland operates under strict regulations, where criticism of King Mswati III and his government is not tolerated. Ms Da Silva also said that when the Chief Justice was questioned on how the arrests were carried out, he said that the matter was sui generis, which Ms Da Silva says means that it falls outside any laid down procedures and any rules of the High Court or any court or law. She said that surprisingly to the lawyers, they also learnt that the matter also falls outside the ambits of the Constitution of Swaziland, which is the supreme law in the land. ‘What Judge Mpendulo Simelane was literally saying was that the court can adopt any procedure that it wants to, whether legal or not, in dealing with this matter,’ she said. Ms Da Silva said that there was a request made that a full Bench should hear the matter because they foresaw that this would happen. A letter was addressed to the registrar who responded in a letter to the defence counsel on the day of the hearing saying that the Chief Justice did not think that the matter warrants a full Bench. Ms Da Silva said that on 18 March, the duo was expected to appear in court but was instead subjected to a private hearing in Chief Justice Ramodibedi’s chambers, which she says was in violation of s 21 of the Constitution of the Kingdom of Swaziland, which guarantees the right to a fair trial. They were kept in custody until the second hearing, which took place on 25 March where they appeared at the High Court of Mbabane with legal representation. Their detention was extended until the next hearing, which took place on 1 April and when they appeared, their detention was extended for the third time to the next hearing, scheduled for 8 April. Ms Da Silva said that the decision to extend the custody of the two was taken by newly appointed Judge Simelane, who is also the former High Court Registrar implicated in the articles published. Ms Da Silva said that on 4 April, the accused filed an application at the High Court where they were seeking a declaratory order on the grounds that the warrant of arrest issued by the Chief Justice was unconstitutional, unlawful and irregular. They argued that the High Court does not have the power to issue same as it was a magistrate who issued warrants. Mr Makhubu and Mr Maseko were denied bail on the basis that they were a flight risk. They remained in custody with other inmates for 20 days before a court granted an application for their release, on the grounds that Chief Justice Ramodibedi had no power to issue an arrest warrant. Ms Da Silva said that the accused had been forced to wear leg-irons during court appearances. She said that on 6 April Mr Maseko and Mr Makhubu were released after High Court Judge Mumcy Dlamini set aside the arrest warrant following an application lodged by the two defenders’ lawyers seeking a declaratory order that the 17 March arrest warrant issued against them was unconstitutional. However, on 7 April Chief Justice Ramodibedi, along with the Office of the Director of Public Prosecutions, the Attorney’s General Office and the Swaziland Government, appealed against the decision of Justice Dlamini. This appeal was pending at the time of going to print. On 9 April, Judge Simelane subsequently issued a ruling stating that the 7 April appeal had automatically suspended the 6 April decision to free the two defenders and that as a consequence they should be re-arrested. On the morning of 10 April a first hearing took place and the provisional detention of the two defenders was extended until the next hearing scheduled on 14 April. Ms Da Silva said that central to the ongoing saga are the questions hanging over Chief Justice Ramodibedi who is currently suspended from a judicial position in his home country Lesotho, where he is facing allegations of fraud and misconduct. She added that in Swaziland, questions have also been raised as to how Judges Ramodibedi and Simelane can be impartial adjudicators when they are both subjects of the articles. Mr Makhubu and Mr Maseko filed an application for the recusal of Judge Simelane stating that it would not be feasible for him to preside over a matter that he may be called as a witness to. ‘Lawyers and observers at the court were left wondering how a trial date could be set by Judge Simelane when a pre-trial appeal, on the same matter, is yet to be heard’, said Ms Da Silva. Mr Dludlu said that Swaziland was undergoing a political crisis. He said that it was a state with no democracy and one that primarily strives at not respecting basic human rights of its citizens. He said that The Nation magazine was under siege adding that he would not be surprised if it was forced to shut down. ‘We have a number of political and human rights activists who are behind bars with the harshest possible sentences. One is serving an 85 year sentence, the other recent one is serving a 15 year sentence and we are expecting a high sentence for Mr Maseko and Mr Makhubu,’ he said. Mr Dludlu went on to query why Swaziland was being treated with ‘soft gloves’ especially by South Africa. He appealed to the South African government to help Swaziland in its political, social, judicial and economic crises, which could explode any day, which would be to the detriment of the Southern African Development Community region generally and not just to the citizens of Swaziland. She added that she was not worried or scared but that some of her colleagues were. ‘But those that have been in the game for a while have brushed it aside and said come what may because there is nothing that we can do about the situation,’ she said. At the time of going to print, at a six-hour court hearing on 14 April, Mr Maseko and Mr Makhubu had been remanded back into custody for a further seven days, they were due to appear again on 23 April. At the same hearing, Judge Simelane refused to recuse himself stating that he would be able to preside over the case objectively. The Law Society of Swaziland has also challenged the appointment of Judge Simelane as a High Court judge, and an investigation regarding the appointment is under way. If found to be an irregular appointment, all the matters that Judge Simelane has presided over since his appointment, would be nullified. The Law Society of South Africa (LSSA) expressed its grave concern in March at the arrests, which it described as ‘irregular and arbitrary’. 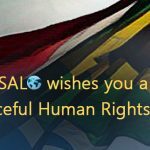 In a press release, the former co-chairperson’s of the LSSA Kathleen Matolo-Dlepu and David Bekker said that it has, on previous occasions, publically raised its concern in media statements and with President Jacob Zuma, regarding the subversion of legal proceedings and of internationally accepted legal and human rights principles by Swaziland’s Chief Justice Ramodibedi. ‘We understand that Mr Maseko and Mr Makhubu were denied access to legal representation when arrested, remanded in custody after closed proceedings and denied the opportunity to apply for bail. Not only do these actions demonstrate the Swazi authorities’ intolerance of freedom of speech, they also show an ongoing contempt for the rule of law and a flouting of the fundamental principles of justice and fairness,’ said the co-chairpersons. They went on to say that such actions reflect negatively not only on the Swazi authorities and justice system, but also on the SADC region as a whole. And re-affirmed the South African attorneys’ professions’ support for its colleagues in Swaziland. In a statement the president of the SADC Lawyers’ Association (SADC LA), Kondwa Sakala-Chibiya, said that SADC LA was gravely concerned over the reports that while in police custody, Mr Maseko and Mr Makhubu were denied access to legal counsel and that a request made by them that the indictment proceedings be held in open court, was also denied in favour of holding closed proceedings in the Chief Justice’s chambers. ‘The Constitution of the Kingdom of Swaziland guarantees the right to a fair trial. The UN Basic Principles on the Role of Lawyers (Principles) provide for the prompt access to, and assistance of, a lawyer to protect and establish the rights of an accused and to defend them in all stages of criminal proceedings; the Principles also require the authorities to ensure that all arrested, detained or imprisoned persons have adequate opportunities to be visited by and to communicate with a lawyer of their choice without delay and in full confidentiality. The International Covenant on Civil and Political Rights, to which the Kingdom of Swaziland acceded on 26 March 2004, provides that everyone shall be entitled to a fair and public hearing by a competent, independent and impartial tribunal,’ said Ms Sakala-Chibiya. Ms Sakala-Chibiya concluded by calling on the Swazi authorities to ensure that the due process of the law is respected in this matter without subjecting the accused to any form of abuse of their rights and/or discrimination in the manner in which their trial is held. •At the time of going to print, the matter was still ongoing. Sonke Gender Justice (Sonke)/ The Southern African Liaison Office: submitted that the definition of GBV should be extended to include acts of violence committed against LGBTI as they constitute a group of people disadvantaged by unfair discrimination historically and currently due to actual or perceived sexual orientation/gender identity. As it was, the definition excluded violence against LGBTI. Violence committed to LGBTI amounted to GBV as it was committed on the bases that the targeted person did not conform to social and cultural gender norms. The DWCPS did not have any objections to the recommendations. South Africa believes that Zimbabweans have the responsibility to ensure that the reforms, not yet carried out in their country, do take place. This is according to Presidential International Relations Advisor, Lindiwe Zulu. Zulu was on Tuesday addressing a seminar in Pretoria hosted by the Southern African Liaison Office (SALO). Zulu was part of the SADC facilitation team charged with ensuring the implementation of Zimbabwe’s 2008 Global Political Agreement (GPA) for a unity government. When the GPA ended with Zanu-PF’s election victory last year, commentators and opposition parties cited various security reforms that hadn’t taken place, specifically a rehaul of the army and police. Meanwhile, Zulu says the time is ripe for the United Nations (UN) to be reformed. Africans and other developing country citizens need to have a say in the global institution that has so much impact on their lives, she says. Her comments echo those of President Jacob Zuma, who at last year’s session of the UN General Assembly, challenged the body to set a target for a reformed, more inclusive UN Security Council by 2015, when the UN celebrates its 70th anniversary. Zulu says the timing for such reform is appropriate. “We are in a better place to want to be listened to because we think to an extent our own political transformation is taking place both at the level of individual countries but also collectively. We are seeing more and more countries taking the route of being democracies going the route of working on making sure there is no conflict going the route of respecting human rights, but I think we have a plan to deal with those,” says Zulu. 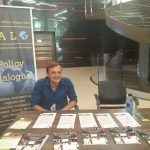 Natural resource geopolitics were at the centre of understanding why Africa had become a battleground affected by conflicts that were marginalising Africans and preventing them from reaching their full potential, Southern African Liaison Office (Salo) board member Richard Smith said last month at the Building Regional and International Consensus workshop, hosted by Salo, in Pretoria.